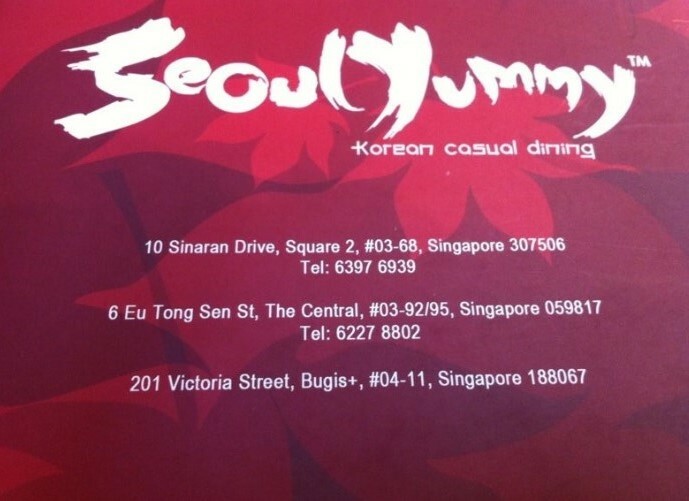 Last night’s dinner with my ex-colleagues was at Seoul Yummy~ Its a restaurant serving Korean cuisine, situated at Bugis plus (beside the Bugis mrt station). Not all the dishes are up to my standard for last night’s dinner. We spent around $20 each person last night. Overall it was not too bad for me, however I might not go back to the same outlet at bugis plus as some of their service crew has attitude problem. 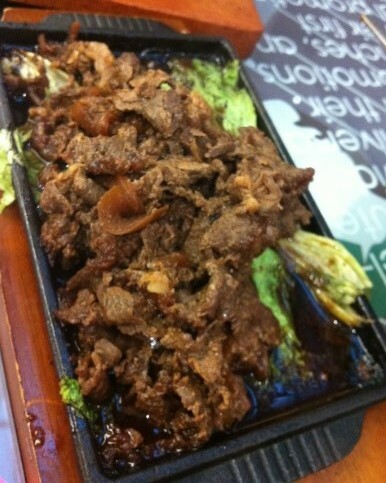 The beef is amazing~ Not too fatty, tasted just right. 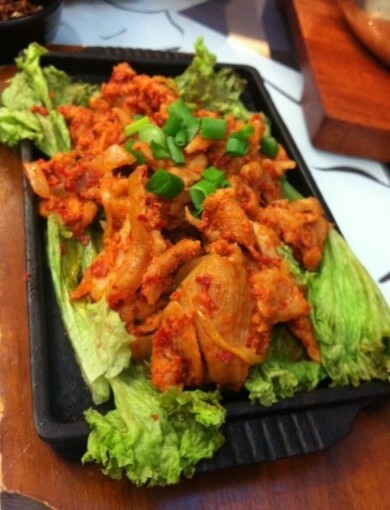 Ginseng Chicken! 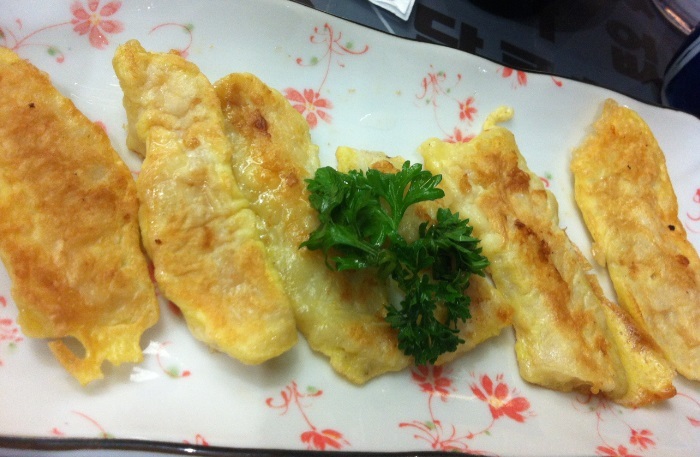 One of the dish that many of my colleagues felt its the best dish for last night’s dinner. 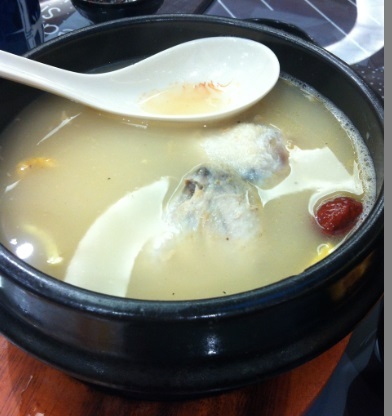 Chicken is very tender and tasty soup! 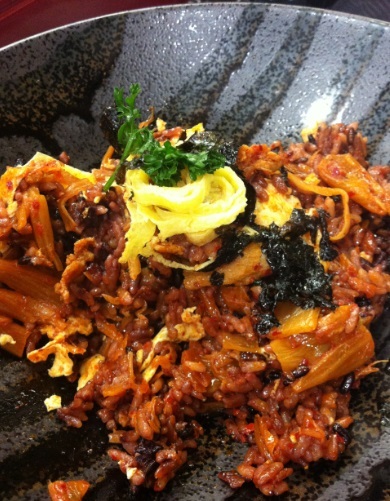 This Kimchi fried rice is the worst dish of last night’s dinner. It’s very salty and a little sour. Many of my colleagues also did not like it. If you are feeling adventurous or have unique taste buds, you can try it. 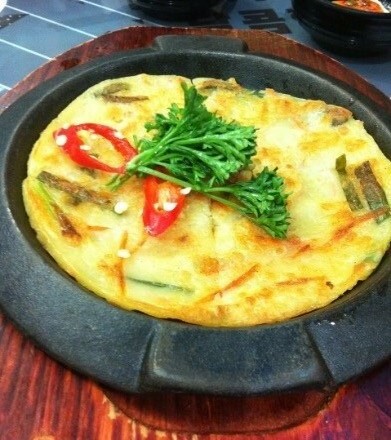 The fish cake is not very nice too. Quite tasteless. Will never order it again. 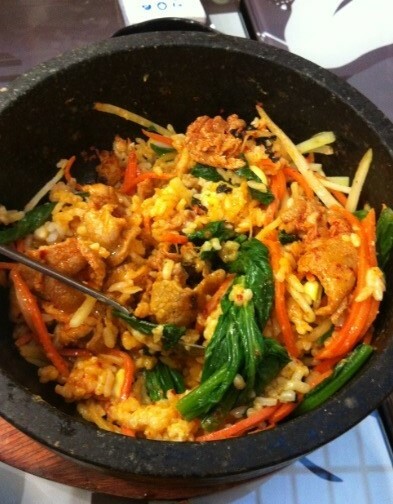 Bibimbap! It’s not too bad, can try! 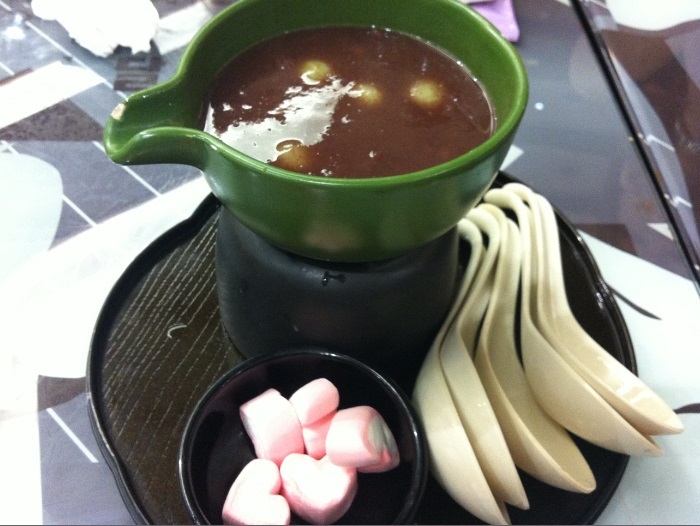 Korean hotpot spicy meat soup! 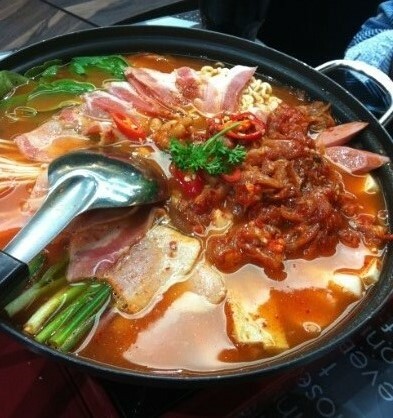 The soup is not spicy at all though it looks spicy. Not for someone who loves spicy food. 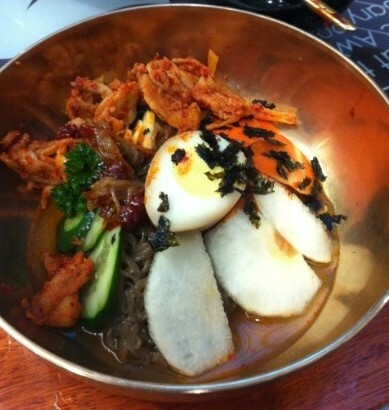 I love the meat in it ^^ they have the seafood option too. Dessert! The top part is soft serve yogurt. It’s NOT Vanilla ice cream, which many of us thought it was. Drizzled with tangy orange sauce. This dessert is not up to my expectations. 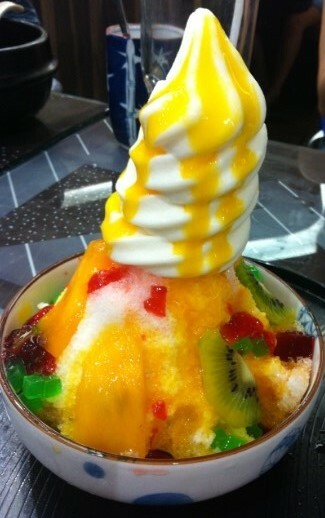 One of the favorite dessert for last night! 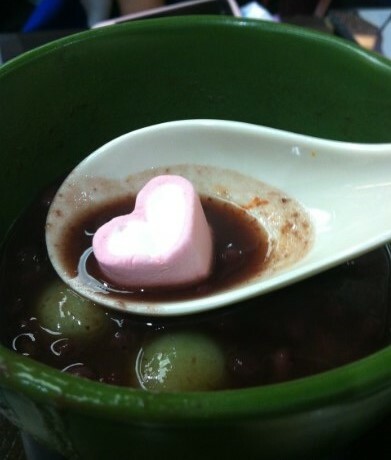 Hot red bean, with matcha mochi and heart shaped mashmallow.